The Community and Economic Development department is responsible for making Omro a vibrant and exciting place to live, work and visit. 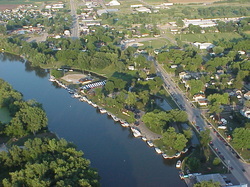 Through working with the Omro Business Improvement District, Future Omro Chamber-Main Street and the Omro Area Development Corporation, this department organizes events, promotes Omro through various marketing efforts, assists in long-term planning for the community and is responsible for promoting a positive business climate in Omro. Omro was one of eleven municipalities chosen in Wisconsin for having retained and attracted people in the age demographic of 20-39. Through an interview process of community members, information and insight was gathered, for more information and link to the study click here. Winnebago County is developing a bicycle and pedestrian plan, including rural communities like Omro, to guide biking and walking improvements in the rural areas of the County. Click here for more information and reports conducted regarding the plan.